Got chills? 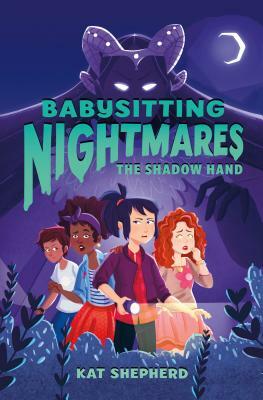 Babysitting can be a real nightmare in this spooky middle grade series! For Rebecca Chin, babysitting has always been fun. But one night, a thunderstorm knocks the power out while she’s watching baby Kyle, and creepy things begin to happen in the house. A locked window opens by itself, mossy handprints streak the wall, and the baby begins acting strange. When she finds out that no one else in town was affected by the storm, Rebecca begins to wonder if something supernatural is going on. Fellow sitters Tanya, Clio, and Maggie help Rebecca unravel the mystery, only to discover something unbelievable. A sinister, paranormal villain has taken the baby and replaced him with a changeling! The girls can save him—if they can survive a scary journey into the Nightmare Realm!